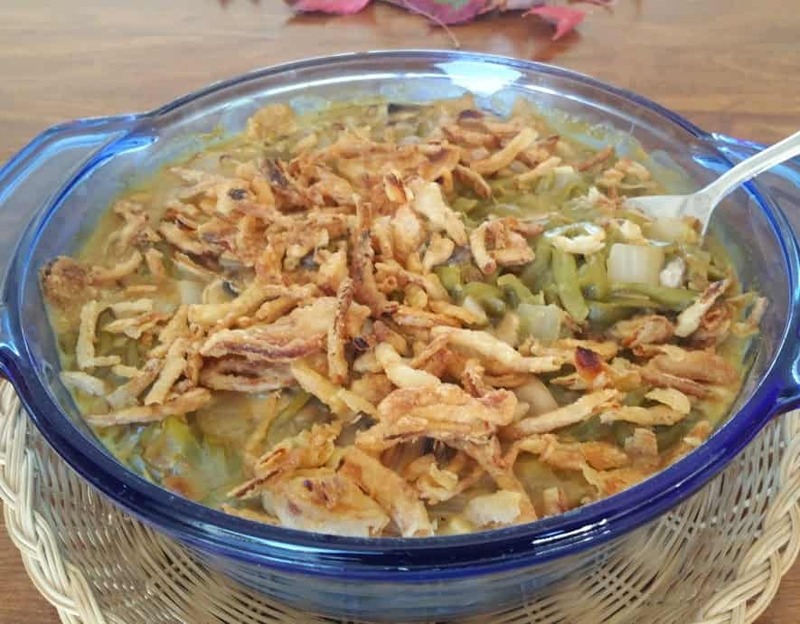 With the holidays coming up I wanted to be sure and give all of you one of my family’s favorite Thanksgiving recipes, this Vegan Green Bean Casserole. Yep, that classic recipe made famous by Campbell’s – only veganized. Back when we used to do the traditional Turkey Dinner, my wife would spend all day on the turkey, the dressing, and making the homemade yeast rolls. 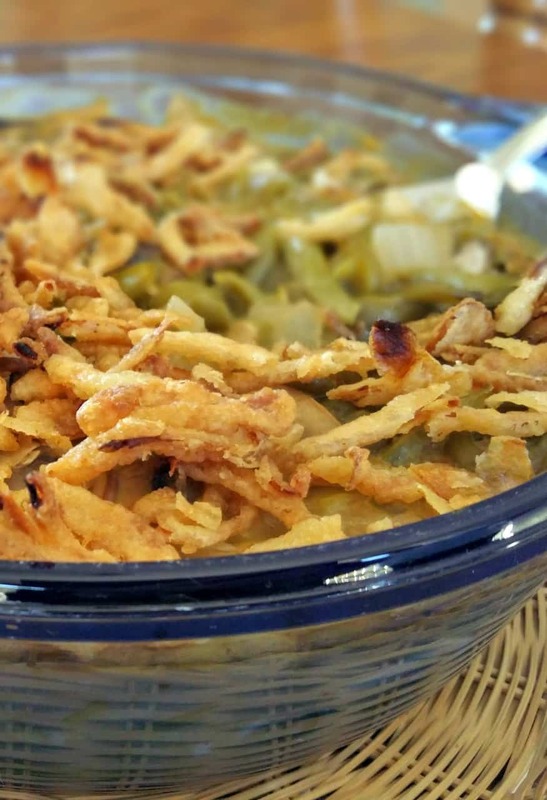 My job was to make everyone’s favorite – the Green Bean Casserole. I don’t think there’s a cook out there that hasn’t seen this classic recipe on a can of Campbell’s Cream of Mushroom Soup. 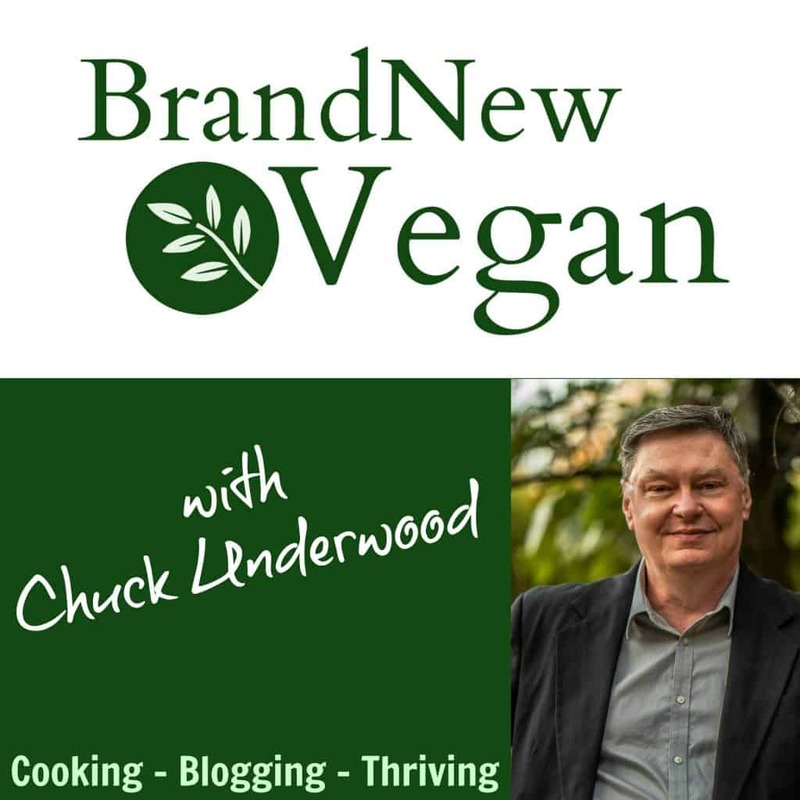 But – now that we’re all Brand New Vegans – that recipe has to go out the door. WATER, MUSHROOMS, VEGETABLE OIL (CORN, COTTONSEED, CANOLA, AND/OR SOYBEAN), MODIFIED FOOD STARCH, WHEAT FLOUR, CONTAINS LESS THAN 2% OF: SALT, MONOSODIUM GLUTAMATE, SOY PROTEIN CONCENTRATE, DEHYDRATED CREAM (CREAM [MILK], SOY LECITHIN), YEAST EXTRACT,FLAVORING, DEHYDRATED GARLIC. Yikes! And Campbell’s? What exactly do you mean by ‘flavoring‘? Do we really want to know ????? This year I decided to do something a little different. I made my OWN Cream of Mushroom soup – all from scratch. And it’s a lot easier than you’d think, and SO much healthier. There’s absolutely no oil or butter (or MSG!) and maybe just a tiny bit of fat from the Almond Milk. But there are those Fried Onion Rings. Yeah, there’s really no way around them if you want that traditional onion-y crunch on top. You can leave them out completely, but for special holiday meals like this one, I stick to what I’m used to. Just don’t eat the whole can…..
After the photo shoot, the wife and I dug into this for lunch and I gotta tell you – this stuff is amazingly good! So much better than the canned version. She even went back for seconds! So there you go guys – it’s wife approved. 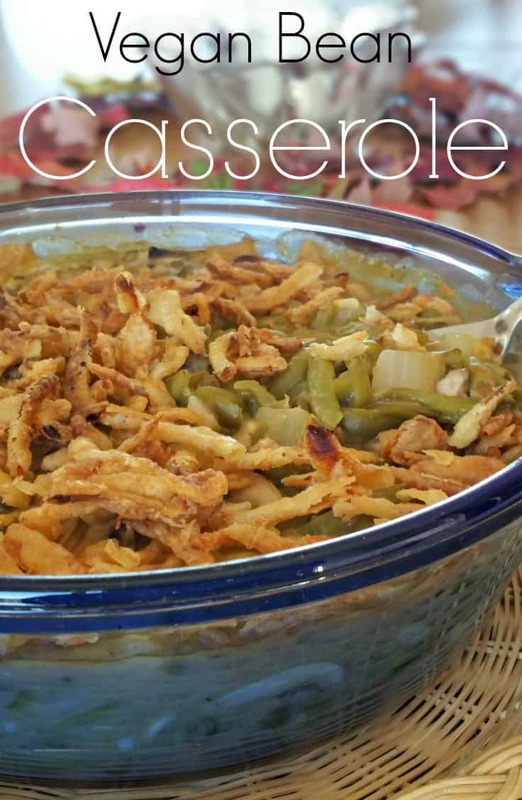 And if your job is the Green Bean Casserole – and you want a healthier version without all the chemicals….this recipe is for you. A healthier version of an old classic. 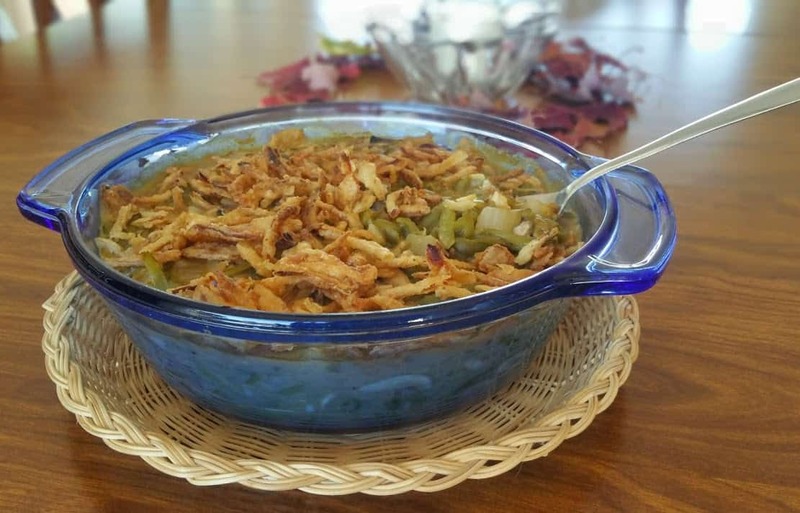 This Vegan Green Bean Casserole will be sure to please this holiday season without all the sodium, dairy, or MSG. Wash and slice the mushrooms and add to a large stew pot. Chop the onion, mince the garlic, and add both to the pot. Stir in 1/3 cup of the veggie broth and simmer until veggies are soft. Whisk the flour into the remaining 3/4 cup of veggie broth and add to mix along with the almond milk. Add the soy sauce, seasonings, and onion rings (if using). Note: A healthier alternative would be air fried onions. Simmer on low heat until nice and thick. Rinse and drain the green beans and stir them into the soup. Simmer for 5 minutes until bubbly. 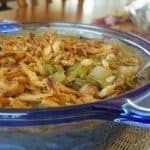 Carefully pour mixture into an oven safe casserole dish. Remove from oven and sprinkle remaining onion rings on top. Bake for another 5 minutes until topping is brown and crispy. The French's French Fried Onion Rings are without a doubt the 'unhealthiest' ingredient in this recipe. But it's also kind of traditional, so I still use them. Plus it gives the beans a nice onion-y crunchy topping. So if you're watching your fat - you can leave these out completely. Whats the almond milk for? Has anyone made this and can give insight into the use of the almond milk? How/when should it be incorporated? Thank you, totally missed it! I made this for Thanksgiving and everyone (even carnivores!) loved it! I did make a few changes to suit my family’s preferences (used an immersion blender to make the mushrooms less detectable and used the carmelized onion version of the crispy fried onions). Sooo good!!! Thanks for an amazing recipe! Am I reading this correctly in that you add the French’s Fried Onion Rings into the veggie broth/almond milk mixture before you bake it? I know that you add them on the top for crunch. Sorry for the silly question, but this is my first time making it, and wanted to be sure I understood it correctly. Thank you!!! I made these yesterday for Thanksgiving. Everyone loved them, the vegans, the non-vegans, the vegetable haters, alike! My husband (vegetable hater) got the leftovers out today for lunch. Shocking! I steamed some fresh green beans to use instead of the canned. Do you think using canned coconut milk would be good in place of almond milk? I was just thinking it has a richer flavor and texture but I’m not sure if it would work here. I personally stay away from Coconut anything – very high in Calorie Density and fat.